Sunday 21 October is Garden Day! And with the gorgeous rain last weekend (and the chance of more tomorrow) I'm sure that like me you are more than ready to go all out to celebrate the occasion. This annual celebration was launched in 2016 by a group of enthusiastic South African gardeners who want to use gardens and gardening to bring people and communities together in the spirit of Ubuntu. For once, forget about the endless to-do lists and invite friends and family to enjoy the fruits of your labour with you. Even better, make new friends by approaching the owners of gardens you have long admired to ask for a tour or just get some advice, tips, cuttings or seedlings. it is a rare gardener who is not thrilled to share their passion with an admirer and fellow enthusiast! Now that the summer rains have arrived, it is all systems go in the garden – unfortunately also for the weeds. The flowering Cape Chestnut is as spectacular, as always, and while other plants give a pop of colour the deutzias and philadelphus are providing lovely accents of white. We have a good selection of these in the nursery as well. Iochroma fuchsioides - what a pop of colour! I have gone a bit overboard with my list of plants this month but it is so difficult to choose from the huge variety in the nursery at the moment. With its silver leaves on slender stems and spikes of delicate white flowers all year, the 1 m high Gomphostigma virgatum has to be one of our prettiest and most rewarding indigenous plants. It is evergreen and very hardy and while it can take sun or shade, be warned that it wants bog like conditions with up to 20 cm of water above the crown of the plant. Prune back hard after flowering and within six weeks it is back in bloom again. Helichrysum cymosum is a gorgeous 30 cm high groundcover with woolly stems, small aromatic silver leaves and clusters of yellow flowers from summer to autumn. It is evergreen and very hardy and can take sun or semi shade. The evergreen and very hardy Hypoxis angustifolia is a clump forming perennial with leaves keeled with prominent ribs and bright yellow star like flowers all year. It grows about 15 cm high and likes a sunny position. It multiplies well. We have maintained our stock in the nursery by splitting regularly. At the risk of being accused of having a yellow bias, I can’t leave out the beautiful Zantedeschia pentlandii. The spotted dark green fleshy leaves and deep yellow flowers of this threatened sun loving indigenous perennial are truly striking. 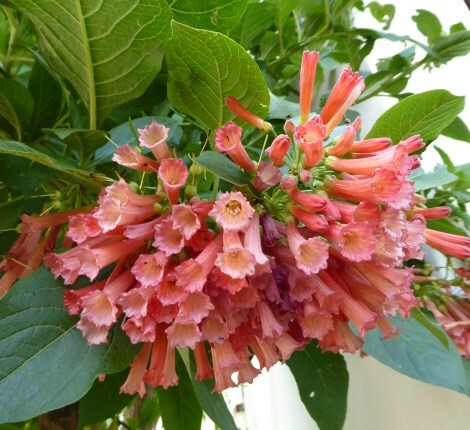 Deciduous and very hardy, it flowers in summer and grows about 60 cm high. 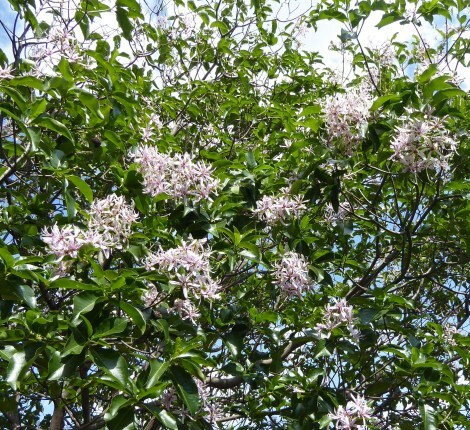 Sophora velutina ssp Zimbabweensis is a lovely cascading shrub or tree (2 m high or smaller) with silky leaves and racemes of cream coloured flowers from spring to summer. 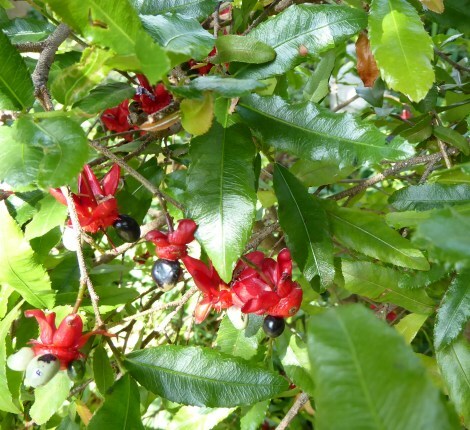 Although classified as indigenous, it has been suggested that the plant may be a descendant variety of a plant introduced by traders centuries ago when Zimbabwean culture was at its height. It is evergreen and hardy and likes sun or semi shade. Campanula portenschlagiana (quite a mouthful, that one!) is a low growing mat forming perennial with rounded leaves and bell shaped violet flowers that attract bees in spring and summer. It is evergreen and very hardy and wants shade to semi shade. The brilliant blue flowers of the deciduous Iris siberica grow on branched stems and are a wonderful feature in the spring garden. This is a very hardy 75 cm high plant that enjoys sun or semi shade. They have performed exceptionally well this year. The water wise miniature Leucanthemum sp is a perfect choice for dry gardens and full sun. A clump forming perennial with huge yellow centred white flowers from spring to autumn, it is evergreen and very hardy and reaches a height of about 50 cm. Attracts butterflies. The silver felted leaves of the self-seeding Lychnis coronaria beautifully offset its brilliant cerise pink flowers in the summertime. A very hardy evergreen clump forming perennial, it likes full sun and grows about 75 cm high. Trifolium ochroleucum is a creeping perennial with grey green leaves and scented pom-pom like white flowers in summer that attract bees. It can take sun or semi shade and is evergreen and very hardy. Average height is about 60 cm. Lovely. 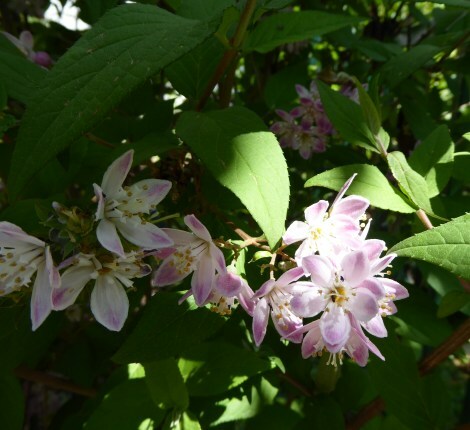 A fast growing upright deciduous shrub with scented bell shaped white flowers in summer, the water wise Philadelphus coronarius is a lovely specimen plant that looks just as good in a border. 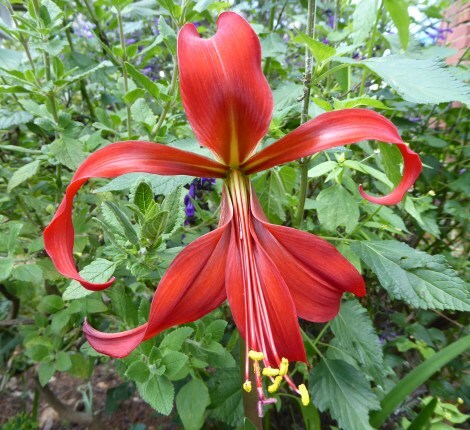 It likes sun or semi shade, is hardy and reaches a height of about 2 m. Prune just after flowering. In response to our previous newsletter on the difficulty of eradicating cat’s claw creeper and my appeal for any success stories, Hans Wegelin let me know that he and his wife have had some success by cutting the stems off at soil level and BRUSHING the stump with swimming pool acid. This apparently causes the underground bulb to rot. Definitely worth a try. Thank you, Hans! Just a reminder of our next open weekend on 3 and 4 November. We will be open on Saturday from 09h00 to 15h00 and on Sunday from 09h00 to 13h00. The nursery will be bursting with lovely summer stock and Sibongile and Robert will once again be seeing to tea and scones on the verandah. Enjoy this wonderful time in the garden, and happy Gardener’s Day!